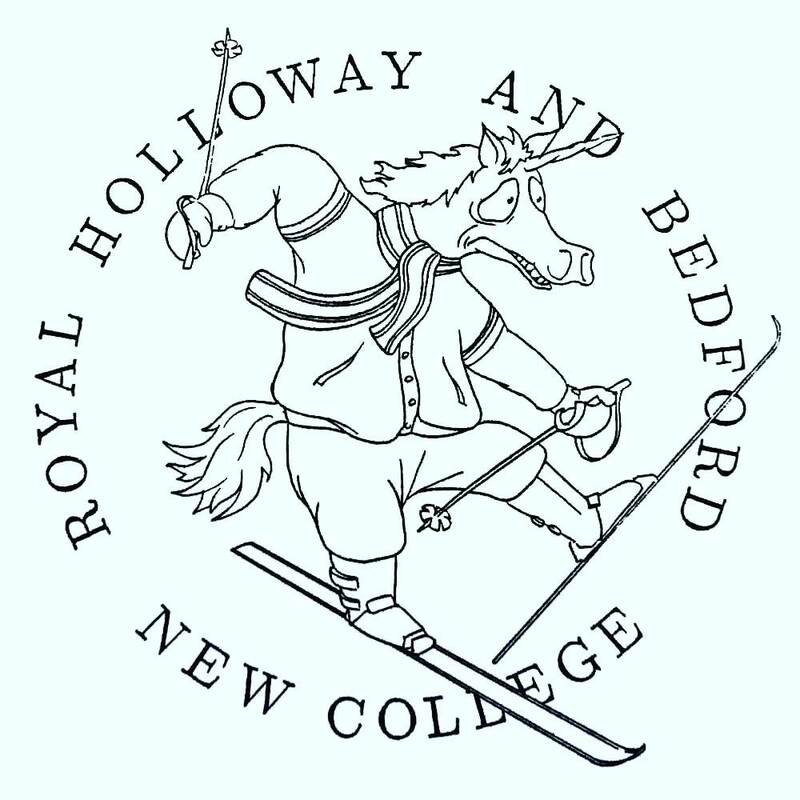 Logo for RHBNC Ski Club, drawn 1989 or thereabouts. RHBNC is now better known as Royal Holloway, University of London — although technically I think RHBNC might still be (as of 2018) its official name. The RHBNC Student Union motif at the time was a unicorn, which I am pretty sure came about because one of the coats of arms of the component colleges (Royal Holloway or Bedford — before they merged) was supported by a unicorn, although over 30 years later I can’t actually find any evidence of that. The text on this logo is set in Donald Knuth’s Computer Modern and placed in a circle using LATeX, which is not how modern designers would do it today. That’s 80s university technology for you.